Product Description: Don’t spend this Single Awareness Day alone – grab a My Bloody Valentine! This red-blooded cousin of Evil Dead Red Ale, our Halloween Brew, is a beautiful crimson color. Notes of caramel, toast, and bittersweet chocolate balance an intense bouquet of floral hop aromas that we know you’ll fall in love with. The finish leaves a pleasant, full-bodied sweetness on the palate that won’t spread angry rumors about you to all your friends like that one time when I was…ohh…uhh…Happy Valentine’s Day! 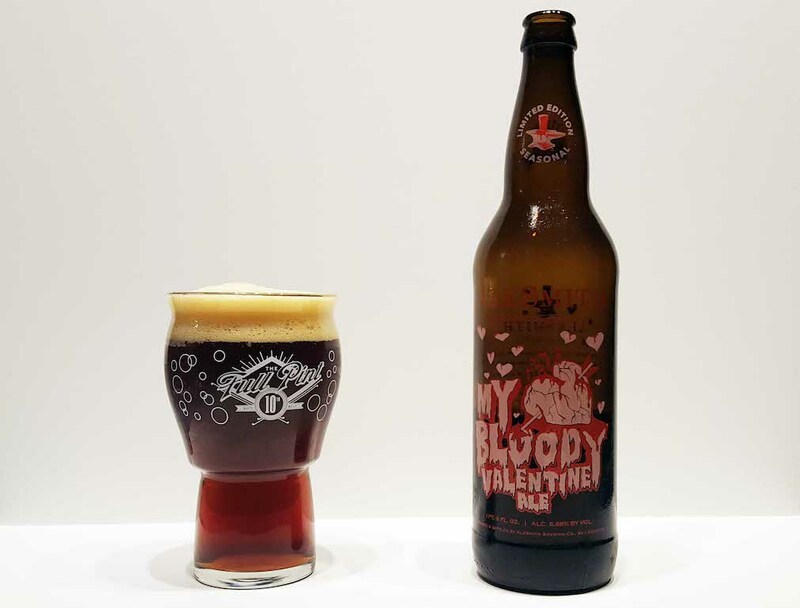 AleSmith Brewing – AleSmith My Bloody Valentine – 22 oz. bottle poured into specialty glassware 6.66% abv. Sampled from a 22 oz bomber ($7), My Bloody Valentine is clear and deep reddish brown in color with thick, yellow foam. 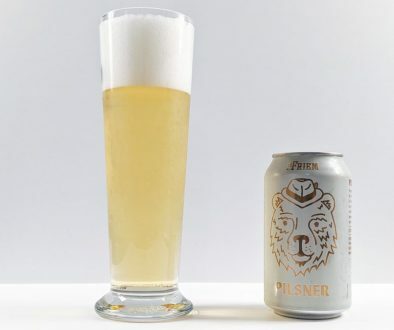 It’s a great looking beer with phenomenal head retention that lasts for several minutes. There’s a decent layer of sediment settled at the bottom of bottle, so keep that in mind. The aroma is an interesting mix that I would not expect from an American red ale with powerful fruitcake notes of candied cherry, golden raisin, dried cranberry, dried pineapple, brown sugar, and walnuts. It has tremendous depth and is truly outstanding. 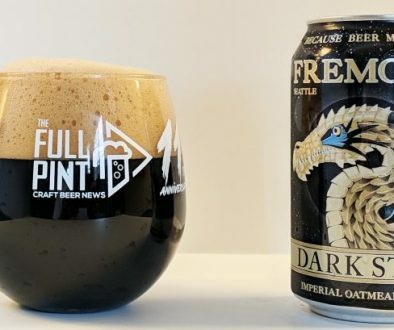 Another issue is that your casual consumer has no clue what this beer is. There’s no style indication on the front label. And when you see the AleSmith logo and that aggregated red font and 6.66% ABV, I can’t be the only one thinking Red IPA or something similarly aggressive or bold. Getting just a regular amber/red ale is sort of a letdown for a $7 special release bomber. If you know you’re after a non-hoppy, non-stout/porter darker beer that is regular strength, I’d go for AleSmith’s Nut Brown Ale, which I think is a much better beer with a more descriptive name. 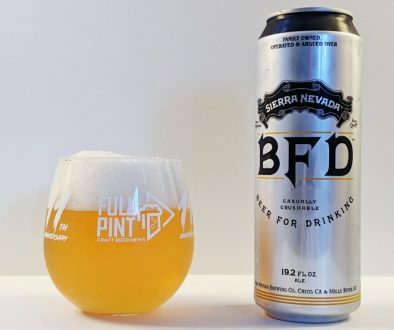 It’s also much cheaper per serving available in 6-packs. For now, I wish Alesmith would replace this beer with something new and exciting that keeps up with consumer tastes.